The city of San Buenaventura, California, (population 106,710) dates back to 1782, when Father Junipero Serra founded Mission San Buenaventura. The city, located between the Ventura and Santa Clara Rivers, was incorporated in 1866 and is commonly known today as Ventura. Oil played a major role in the area’s economy. The Union Oil Company was organized in 1890 and drilled its main oil field in 1914, which at its peak produced 90,000 barrels a day. Ventura’s fertile soil also made it an excellent site for citrus farming, and in 1908, local farmers formed Sunkist Growers Inc., the world’s largest organization of citrus production. Since then, Ventura, a classic California beach town, has grown steadily. The city is the seat of Ventura County and was recently named one of the most livable communities in America. One of Ventura’s main historical attractions is the Olivas Adobe Historical Park, which comprises two structures (adobes) and a museum. The larger adobe, which is listed on the National Register of Historic Places, was completed in 1849 and was occupied by Don Raymundo Olivas, his wife, and their 21 children until 1899. Today, the restored building is a cultural center used for music, dance, art, and education, as well as special events and tours. The smaller adobe is being developed as an archeological exhibit space. 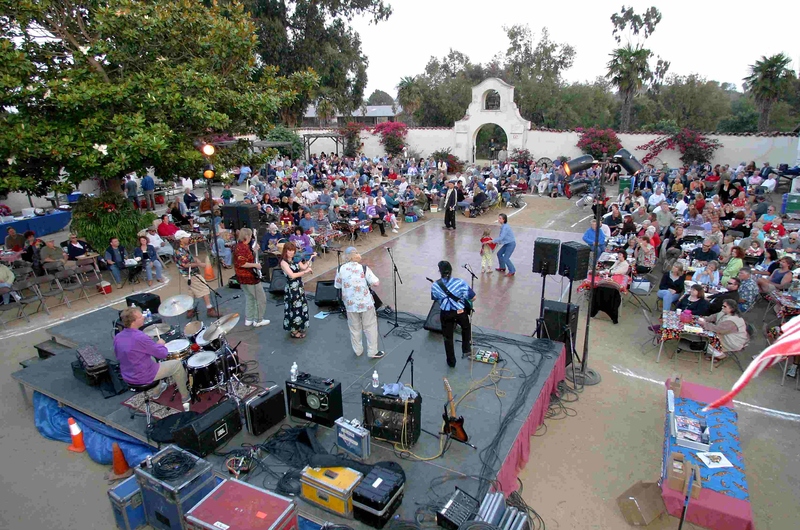 Each year, the city hosts an event called “Cowboys, Heroes & Outlaws: Passport to the American West.” It celebrates the Old West with a “Cowboy College,” Chumash Indian Village, historic re-enactors, period entertainment, crafts demonstrations, and tours of the historic hacienda and herb garden. Ventura’s Albinger Archaeological Museum holds 30,000 artifacts representing Native American culture from 3,500 years ago and a Chumash Indian Village site settled in approximately 1500 A.D. Other museums include the San Buenaventura Mission Museum, built in 1782; the Dudley House Museum, built in 1892; and the A.J. Comstock Fire Museum.